Make a Choice, take a Chance, see a Change. If you have cleansed with us before, check out the 1 day cleanse for a quick reset. Pick up is daily at our Carlsbad Village location. 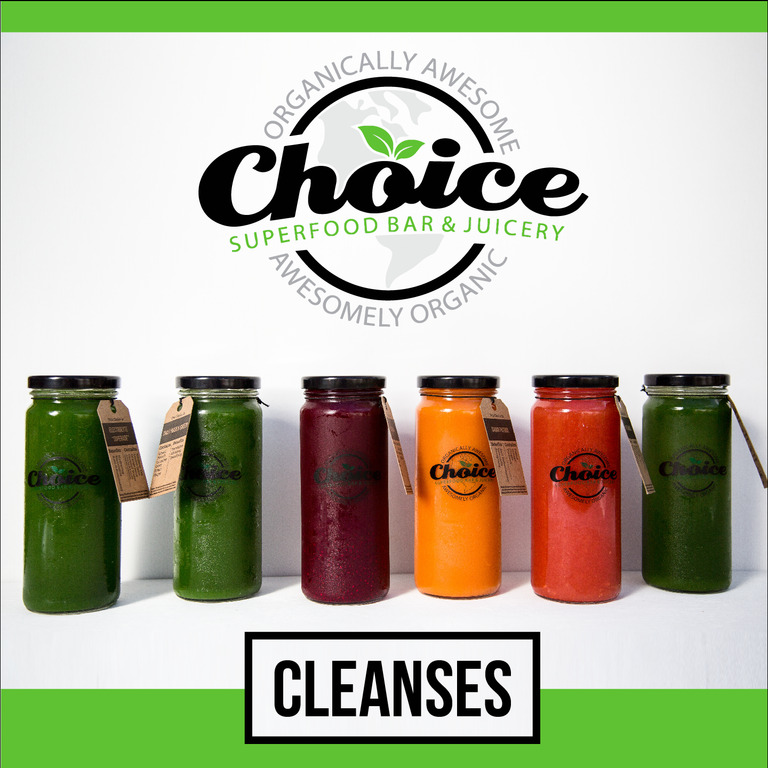 Our cleanse is 100% Organic, Gluten free, Dairy free, and Plant based (V). We are unable to work with allergies & Do not offer refunds. You will receive a support email at sign up guiding you through the experience. You will also be given a Choice cooler bag (it's yours to keep!). We ask that it is brought back each day to pick up your daily cleanse items. Our eco-protein is the best! Ingredients: Organic yellow pea protein, organic brown rice protein, organic raw lucuma, organic hemp protein, organic ground raw chia seed, organic camu camu berry, organic raw maca powder, organic cordyceps mushroom, luo han guo (monk fruit) flavor, organic raw acai berry powder, Himalayan sea salt, organic vanilla bean (ground).